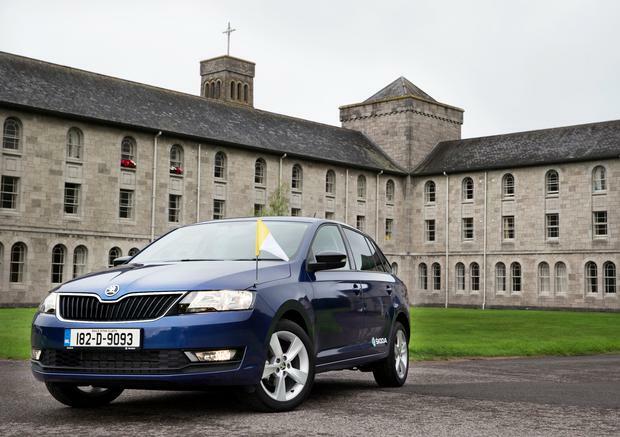 Škoda Ireland has just been announced as the official car partner to the World Meeting of Families 2018 and the Papal visit this month. Accompanying the announcement is a rather OTT video of the car that will be transporting the Pope from Dublin airport to Áras an Uachtaráin on the morning of August 25th. According to the dramatic footage (that's some powerful soundtrack right there), the Škoda Rapid will have 'modified glass', 'a custom-made arm rest', and a 'blue body contour' for the "very special guest". The best bit is the registration - 182 D POPE. Two more cars in the fleet are also revealed which reference the two Papal visits of 1979 an d 2018.